Robotic Arms and Grippers - 3D Print Prototypes d.o.o. Robotic Arms and Grippers There are	2 products. 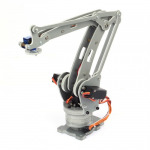 Robotic arms are often used as the "stepping stone" to industrial robotics and automation. 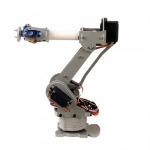 Remotely control or program a robotic arm to pick up and manipulate objects at a distance.